I have discussed using balance transfer credit cards to help you reduce your debt more quickly. As such, I think it’s prudent to go over the advantages and disadvantages of using a balance transfer credit card and also how to make a balance transfer. Hopefully, this will help you better understand what is involved and allow you to avoid common traps and pitfalls. This way you don’t end up paying more fees and finance charges than you should. 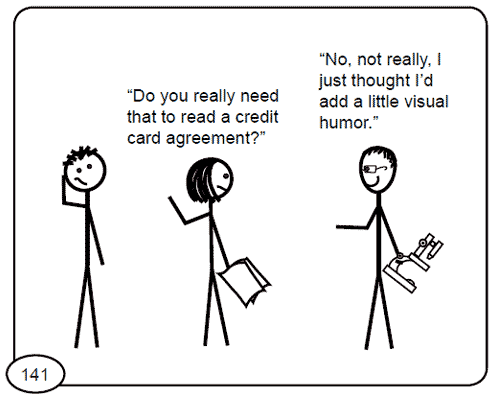 There are a lot of people out there that swear credit cards are evil, but I believe credit cards are simply financial tools that are available to make your life easier. They are useful and have many financial benefits, but like power tools, they could hurt you if you’re not careful. So how can you constructively use this type of offers to help you? It allows you to consolidate several debts into a single more manageable debt. It lets you save money on finance charges by paying down high interest loans. It enables you to speed up your debt reduction — i.e., supercharge your Debt Snowball. It could give you a false sense of financial improvement and safety. This could really hurt you if you start adding more to cards that you just “paid off”. The balance transfer fee and retroactive finance charges could cost you more than what you thought you’d save. Read the fine print carefully! You transferred more that you could realistically pay, and ended up having to pay a higher interest rate once the introductory period is over. The deal is off if you are late on your payment, or use your new card. Introductory Rate — What is the introductory rate? Not all balance transfer offers are 0% APR. Introductory Period — How long does the introductory rate last? Typically this is between 6 to 12 months, but shorter and longer terms do exist. Interest Rate — What is the APR once the teaser rate expires? If you can’t pay off your balance by the time the teaser rate expires, this becomes a very important factor because the resulting rate is usually much higher. Some cards will even charge you retroactive finance charge for the entire introductory period. Be careful. Annual Fee — Does that card have an annual fee? Of course, no fee is preferred. Balance Transfer Fee — Is there any balance transfer fee? Some offer no fee balance transfer, although these are harder to find nowadays. Many credit card companies, such as Discover Card, will charge around 3%. If there’s a fee, check if there’s any cap on the fee. Make sure you understand the full cost of transferring your credit card balances. Qualified Transfer — Be sure you understand what transfer qualifies for the introductory rate. Some card issuers will only honor the initial transfer (when you open a new card) and subsequent transfers are treated less favorably. Read the fine print and ask questions. Otherwise, you could end up paying fees and a much higher interest rate than you expected. Also, keep in mind that you may not qualify for the super-low advertised rate. Don’t be surprised if you ended up with 6.9% APR when the offer said 2.9%. Once you’ve completed your due diligence and is ready to move forward, make sure you fill out your balance transfer credit card application carefully (or balance transfer form in case of an existing card). Incomplete information may delay the transfer or cause unanticipated problem. While you’re waiting for the application to go through, keep paying your existing credit cards until you the balance transfer is confirmed — this could take several weeks. You don’t want to end up paying late fees due to bad timing. When the new card company confirms the transfer, make sure you cal your existing credit card companies to confirm that your balances were indeed transferred. Write down the name of the person you talked to, the date, the time and what was said. Personally, I get several offers a month through mail — i.e., junk mails. However, you can call your current credit card companies to see if they can offer you anything. Otherwise, you may want to review these 0% APR balance transfer credit card offers. Put away your credit cards. If you are in debt and trying to pay them off, don’t add to the problem. Don’t use your balance transfer credit card. Put it away! 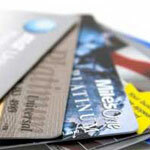 You will more than likely pay a higher interest rate on new purchases made on these cards. And the bad news is your payments will go toward balance with the lowest interest rate first. Always pay on time. You can say good-bye to your introductory rate if you are even a day late. Your rate could easily jump from low single-digit to 20% or more with on late payment. What are your thoughts on balance transfer? Have you use balance transfer to enhance your debt reduction plan? It always sounds so tempting. Which is exactly why you need to proceed carefully. The banks would not give you such a great deal unless they knew that in the long run they will make a bundle off of you! Not that they can’t be effective if used properly, but just look at all the angles first. I dont understand why people have such a difficult time living within their financial boundary. You cant spend money like you make more than you really do. People constantly get into debt and out and never learn. @Weakonomist — Thank you for your feedback. I am the same way now. I always pay off my balances. I get crazy nervous every time we use one of those 0% APR no payment for 6 months offers. @Miranda — Thank you for your compliment. We are saying the same thing, but I like how you put it much better — don’t view empty cards are free money. Thanks for the great post! It is especially important not to view the old, empty card as “free money” after a balance transfer. Very early in my marriage we had that problem, and it made things even harder to get out of that debt. Great post Pinyo. I’ve never carried a balance and hope to never need to carry one so badly I must do a transfer, but it’s always good to be armed with this knowledge.